Business Planet travels to Valencia, Spain, to see how cleantech startups are getting access to the market through clusters. "We grow innovative ideas into startups and SMEs and then connect them with bigger corporates in our cluster, but also with municipalities, with industries, to test and scale up their solutions. We then link them with investors and business angels to raise funds and we help them to access new markets," said Dragomir. 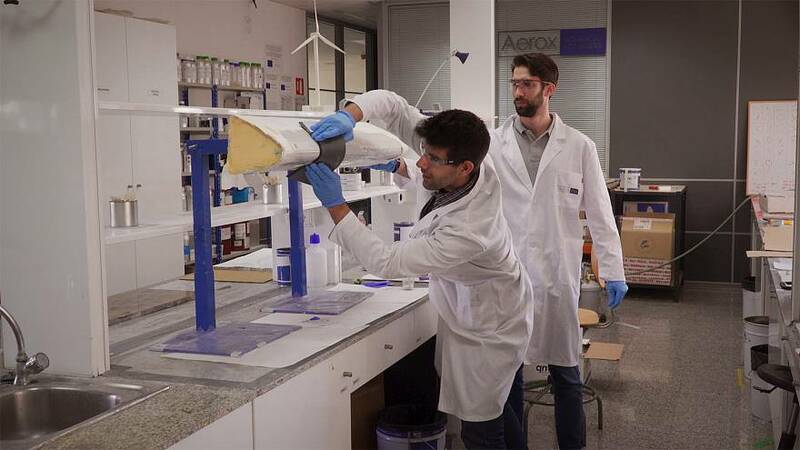 One example of this system bearing its fruits is the case of the ambitious Valencia-based cleantech startup Aerox. Aerox is patenting an innovative blade protecting coating system. Thanks to Aerox's invention, the efficiency of the turbines has grown by 30% and costs have been dramatically slashed. This project received 1 million euros in funding from the framework of the EU programme, Horizon 2020. “Over the last twenty years the size of the wind turbines has been growing in order to generate more power, and because of that, the speed of the blade is so high that the erosion coming from rain droplets has generated a great problem for the industry,” explains Aerox's CEO Raul Cortés. Cortés says that thanks to AVAESEN they Aerox was able to get in touch with bigger corporations in the cluster, in order to better understand its customers’ problems and help it scale up their solution. Thanks to their small size startups are closer to clients and their problems and manage to get a more precise idea of some of the issues that occasionally elude big businesses. That's the reason they're in a position to develop the most appropriate creative solutions. Bianca Dragomir explains that another important aspect of her work is to bring together institutions and actors from the private sector. One such example is the Smart Cities thinktank that works with thirty municipalities in the Valencian region. Their innovation needs are identified and then the municipalities are connected with business solutions for these innovations and adequate funding is provided to accelerate the project market. The European Commission actively promotes and funds companies and institutional actors teaming up through clusters. "We moved away from being a simple network of clean-tech stakeholders to build an entire ecosystem around us, by linking entrepreneurs and the SMEs with the potential clients and the funders, nationally and internationally in a tailored and effective way," says Dragomir. Europe is not short of innovative ideas or entrepreneurial spirit. But entrepreneurs often struggle to commercialise their ideas and to scale-up their innovations. Clusters can play an important role in helping entrepreneurs successfully bring their innovations to the market and scale-up their activities. They encourage companies to work together and help them be more innovative. AVAESEN is one of Spain's leading clusters in renewable technologies. It brings together more than 100 business partners and 6000 professionals. It managed to unlock new clean-tech business opportunities for SMEs, scale up 275 start-ups and SMEs help over 100 SMEs to access new markets. High-quality cluster management is a key element of successful clusters. And it is also one of the factors behind the success of AVAESEN. Bianca Dragomir, the director of AVAESEN, won the 2016 Cluster Manager of the Year Award. Organised by the European Commission every two years, the Award recognises excellence in cluster management and promotes clusters across the EU.